Recognising the need to foster a stronger culture of entrepreneurship in South Africa, Investec and the South Africa-Israel Forum partnered to bring a first-ever delegation of 20 young entrepreneurs to Israel in September. 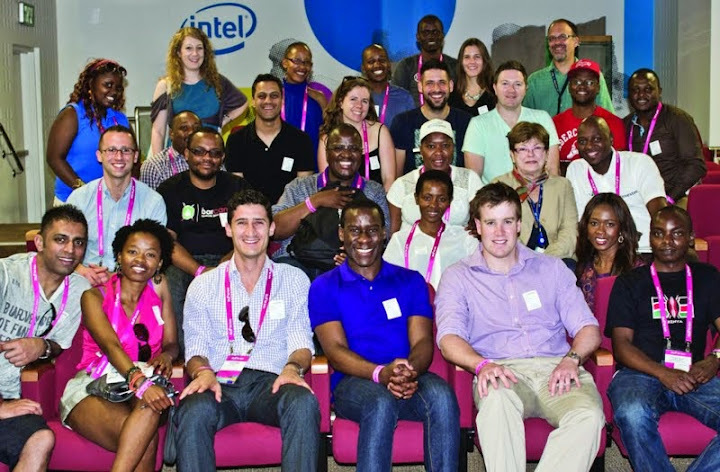 The purpose of the trip was to expose South African job creators under the age of 35 to best practices in business and entrepreneurship in arguably the world’s most entrepreneurial country, Israel. As explained by Investec’s Head of Corporate Social Investment, Setlogane Manchidi, this was done with the intention of fostering the young entrepreneurs’personal and business growth, since their success will facilitate job creation in South Africa. Investec opened online applications for only two weeks and received over 100 applications from throughout the country. Each applicant supplied information about his/her business and explained why he/ she would benefit both professionally and personally from visiting Israel. Candidates were shortlisted and interviewed at Investec, which was conducted by seasoned businesspeople, including Connie Mashaba (Amka Products) and Chuck Volpe (Volpes). The individuals selected were diverse both in terms of backgrounds and industries, and are directly responsible for the creation of over 300 jobs. One participant was Modjadji Ramphadi, 32, from Johannesburg, who grew up in rural Limpopo and was unable to finish her studies due to lack of funds. She eventually resigned from her job as a receptionist and became an entrepreneur, starting her own cleaning company and beauty care line, which together employ 132 rural women. Doug Hoernle, 24, from Cape Town, is the founder of Rethink Education, which has developed chat-style online platforms to aid in the teaching of core maths and science. To date, Rethink Education has distributed maths and science content to over 400 000 South African high school learners, and Hoernle’s company recently received the 2014 African Content Award for the Best Mobile Education Content in Africa. Other participants included South Africa’s first black female chocolatier, a young female farmer from the Free State and the owner of a chain of youth hostels. One of the highlights of the trip was engaging with two of Israel’s highest- profile ex-South African businesspeople, Morris Kahn and Maxine Fassberg. Kahn, 84, made aliyah from Benoni in 1956 without a university degree or formal business training. He went on to found the Aurec Group, which produced the Yellow Pages directory that eventually paved the way for Israeli software giant Amdocs, which now has more than 20 000 employees worldwide and customers in over 50 countries. The media-shy philanthropist shared his life story publically for the first time, as he believed that ‘born-free’ South Africans would benefit most from hearing what he has learned about entrepreneurship. Participant Phakiso Tsotetsi is the founder of The Hook Up Dinner, a growing initiative that gives start-ups a platform to connect. Tsotetsi organised the launch of The Hook Up Dinner Israel on 17 September, which was the first of its kind outside of Africa, with over 100 South African, Israeli and Kenyan entrepreneurs, The event was overbooked, and many business connections were made between South African and Israeli entrepreneurs, some of whom plan on going into business together. The group also visited Ramallah, where they met Bashar Masri, a Palestinian- American entrepreneur and founder of Rawabi, the first planned Palestinian city in the West Bank. They also met with young Palestinian entrepreneurs and discussed the challenges of doing business in the West Bank. The group shared the South African experience of reconciliation with their Palestinian counterparts, and explained that although their country underwent a peaceful transition in 1994, there is still much work to be done until South Africa has truly become the ‘Rainbow Nation’.